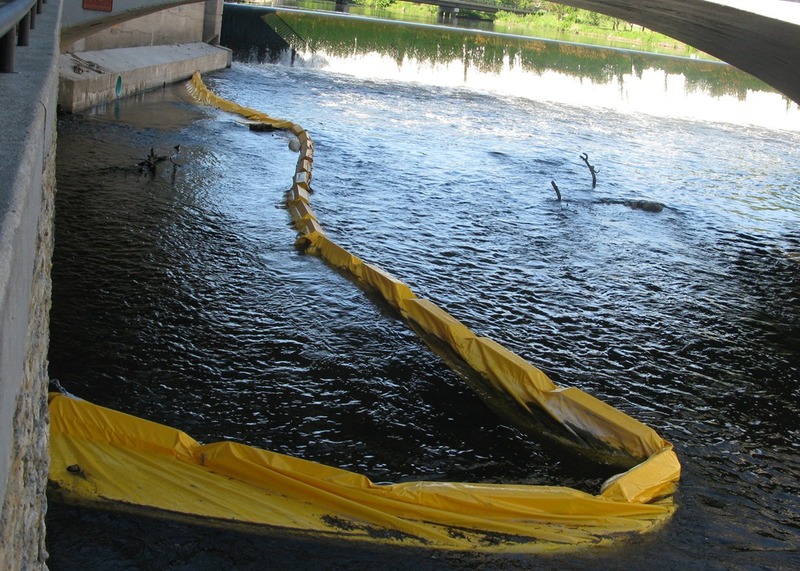 Back on May 28, I took this photo of a floating yellow barrier under the 4th St. bridge just below the Ames Mill dam. Once I confirmed with the police that it had nothing to do with the search for Brittney Landsverk, I assumed that some work on the retaining wall was about to begin. For over a month now there has been a large yellow floating barrier in the Cannon river between Carlson Capital Management and the Hvistendahl, Moersch, and Dorsey law office (it can be seen easily from the 2nd street bridge). It started on Carlson’s side in what appeared to be a setup to block off water to the wall and create a dry area in which to work. But after it was set up nothing happened. It eventually broke free and floated until it rested in itss current position. I feel as though whoever put it there originally has forgotten about it. I can offer no other explanation. Previous PostNorthfield Historical Sculptures: A Walk of Fame?Next PostAug. 10 Northfield City Council primary election: what do we know about the candidates? FYI, 4th St. between Division and Washington was paved and striped yesterday.